This article was originally posted on CTI’s blog site “Transforum” as part of a series previewing the 2014 Co-Active Summit. Chuck is a featured presenter at the Summit. One of the greatest maladies an emerging leader must overcome is something we jokingly call “Lone Wolf Syndrome.” You can see this in leaders who try to achieve their goals without assistance, who are overly protective of their work, who don’t share credit and who fail to delegate. This operating style has a high cost. And it’s no joke. Suggest collaboration to a Lone Wolf and he will stare at you blankly, like you just spoke in an alien tongue. In the Lone Wolf mindset people with similar skills are competitors; good ideas are rare gems that must be guarded with one’s life; true success is only worthwhile if it is attained in a solo performance. In organizations the Lone Wolf is a micromanager. She doesn’t use other people’s ideas, so she doesn’t share credit with colleagues. She is exhausted and worries people will find out she is an impostor. But really, can we blame the poor Lone Wolf? Just look at our role models. The entire history of cinema is centered around solitary heroes, freelance vigilantes, brave iconoclasts going up against “the system.” The same with most of the television shows we love. And forget about “reality TV” which elevates the squashing of one’s peers to an art form. Then there are politics. Where are the examples of politicians who play well with others? And finally, we have all of this technology that makes it ever easier to remain completely isolated while we are interacting with others online. Well, first we must come to terms with the fact that we are not built to function alone. Even wolves are pack animals. In fact, they don’t hunt very well without the help of other wolves. Lone wolves – actual wolves that don’t belong to a pack – are often undernourished because on their own they cannot hunt animals large enough to sustain them. Throughout the natural world the adaptive advantage always goes to life forms that cooperate. It’s one of the reasons multi-cellular life forms emerged. A bunch of single-celled organisms swimming around in the muck are just fine, but when a bunch of cells join together to form a new species they can eventually become… us. For humans the way we operate in collectives has led to the adaptive success of our species. Working together we have created world-wide transportation systems, we have fed people in times of famine, and we have eradicated devastating diseases. We can do all of these things and more, but I think we tend to forget that we can. And the big secret is that we cooperate much more than most people think. It’s just so commonplace that we stop paying attention, and we don’t tend to tell stories about it. What if the ideas I most need right now are in someone else’s head? What can I do today to make someone else look good? Who do I know that has the skills I am missing? What would be possible if I didn’t care about getting credit? Shifting away from the “Hero” mindset of Lone Wolf can be as simple as changing the conversation. Let’s start telling stories about people who bring out the best in a team, who make everyone feel like their contributions are valued. And while we’re at it let’s have a few more stories about groups and a few less stories about individuals. I know which kind of wolf I’d rather be. 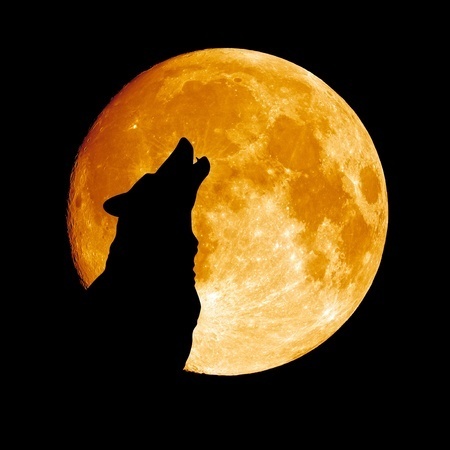 I know I will be much happier howling at the moon if the rest of you are howling with me. Chuck, This is a really interesting article and I can relate to this in corporations I have worked in here in the UK. ‘Availability heuristic’- judging probability based on how easy it is to think of examples. So, it is highly probable my train will be late. Leave a Reply to Simon Dawson Click here to cancel reply.